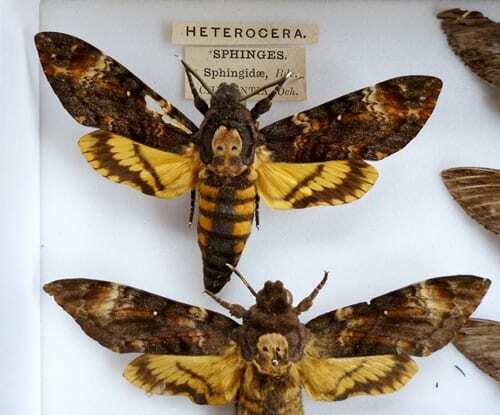 There are three species of Death’s-head hawkmoth (Acherontia styx, A. lachesis and A. atropos), all of which are aptly named in reference to Greek myths of death. The first species is named after the river of the dead, Styx (Στύξ), that divides Earth from the underworld. The second and third species each refer to one of the three goddess incarnations of fate, or Moirai (Μοῖραι; literally meaning ‘apportioners’), that control the thread of each mortal life from birth until death. ‘The Allotter’, Lachesis (Λάχεσις), appoints the decided length of life for each being’s thread. ‘The Unturnable’, Atropos (Ἄτροπος), is the oldest of the three fates tasked with the charming job of severing a creature’s mortal thread of life and choosing a suitable mechanism of demise. On a side note, the final Moirai, ‘The Spinner’ Clotho (Κλωθώ), creates the thread of life itself, but ‘Acherontia clotho’ unfortunately doesn’t have such a grim ring to it. -So why all this emo hoohah about Ancient Greek death myths? 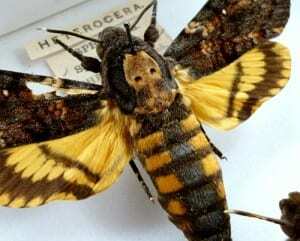 It’s overall appearance is a gloomy brown, with cloak-like wings and a yellow-striped abdomen, but the centrepiece of the Death’s-head hawkmoth (and that which gives it a right to hold such a name) is the marking of a human skull found on the back of its thorax. Coupled with a deathly appearance, this moth has a cantankerous attitude to match, and will jump around all grumpy-like if threatened. However, biology hasn’t just stopped there with the spooky; if disturbed, the Death’s-head hawkmoth can rapidly expel air along an internal flap-like organ, called the epipharynx, to emit a loud scream similar to that of an extremely irritated mouse. Over millennia, the evolutionary concoction that is the Death’s-head hawkmoth has driven many a rational mind (and predator) into the throes of superstition and fear; it’s no wonder that this moth is associated as a supernatural harbinger of ill omens. -What’s that smell I hear? Bees? Like the legendary Pooh himself, these creatures have an insatiable thirst for honey, and in further accordance to Pooh, they turn to robbery in the harsh face of addiction. Despite the honeybee colony’s efficient defence systems, Death’s-head hawkmoths are often observed nonchalantly entering hives and re-emerging later completely unscathed despite their massive size and total ‘that’s not a bee.’ appearance. Such a biological feat is made possible through chemical camouflage, a thick cuticle and partial resistance to bee venom. 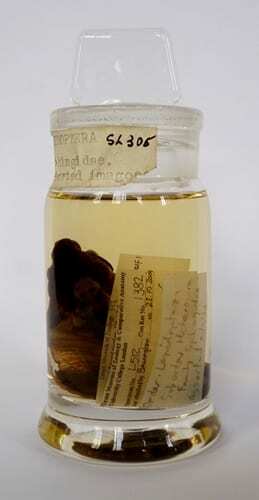 The species is adapted to produce a pheromone that mimics the scent of bees, allowing the moth to slip past the guards of the colony and drink stored honey from within. In the past, it was thought that the moth’s acoustic squealing ability, or ‘sort of, at a stretch, bee-like’ appearance allowed it to remain invisible to bees. Supposedly, a number of Death’s-head hawkmoths were found in the bedchamber of the ‘Mad King’ George III in 1801. Possibly connected with his second major period of psychosis, due to his affliction of dementia, these resident moths plagued on his weakened mind with all their incessant squealing and naughty supernatural doings. The Death’s-head hawkmoth is also a preferred treat of R. M. Renfield, the famous ‘zoophagous maniac’ of Bram Stoker’s Dracula. Renfield suffers from a sanguine temperament, coupled with delusions that drive him to eat living animals in order to gain their life-force. He develops a scheme to cleverly increase the efficiency of his life-force accumulation by feeding flies to spiders, which in turn he feeds to birds, that are then saved for later consumption. Renfield’s morbidity (as well as his ecologically minded obsession with the trophic cascade) is at the influence of Dracula himself, who later begins sending Death’s-head hawkmoths as presents for Renfield’s munchie collection for being such a well behaved thrall. -Moritz, RFA, WH Kirchner and RM Crewe. 1991. Chemical camouflage of the death’s head hawkmoth (Acherontia atropos L.) in honeybee colonies. Naturwissenschaften 78(4): 179-182.